Before we get into the middle of things, a quick little prelude to the big show. I work as as a server at a nice little Cafe’ in Boyne City. We serve a splendid breakfast (highly recommend the Croque Madame or the Eggs Chasseur), lunch and dinner seven days a week. On a certain Friday night near the cusp of our busy season, I have a table that is enjoying a birthday celebration. Amid the Chicken Fricasse and Salmon Saltimbocca, the gentlemen finds out I am an avid fly angler and that a new shop is going to be opening soon at BOYNE MOUNTAIN. He proceeds to inquire where he could get bait to chum for salmon and steelhead because he insists that he is a bait bucket chuck-n-ducker and really likes to bring in his limit plus a few for good measure when he goes out. I must maintain and keep composure because he is, after all, a guest in my dining room and I must be unbiased in his fishing style or technique. A few minutes later his wife shows me a picture of their son on her cell phone. I immediately know and recognize the young man holding the hefty Alaskan ‘Bow- it’s Ethan Winchester and this is his father who has been ribbing me and watching to see how I would react. I got a good chuckle out of the evening and we both have a story to tell. 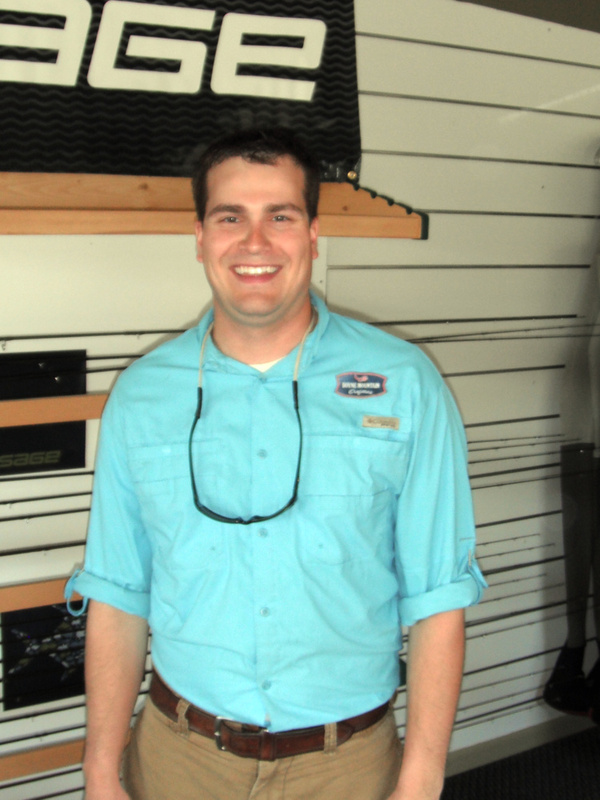 Last week TNT had the opportunity to ask Ethan Winchester, Head Manager at BOYNE OUTFITTERS, what this fly shop has to offer. As Ethan is stacking Redington rods along the wall and getting reels ready for future anglers, we get a glimpse of what makes this dream become a reality. TNT: What is the name of the new addition to BOYNE USA? 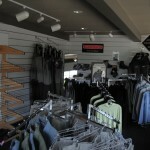 EW: BOYNE OUTFITTERS, but you already knew that. Do these get tougher? He replies with a chuckle. 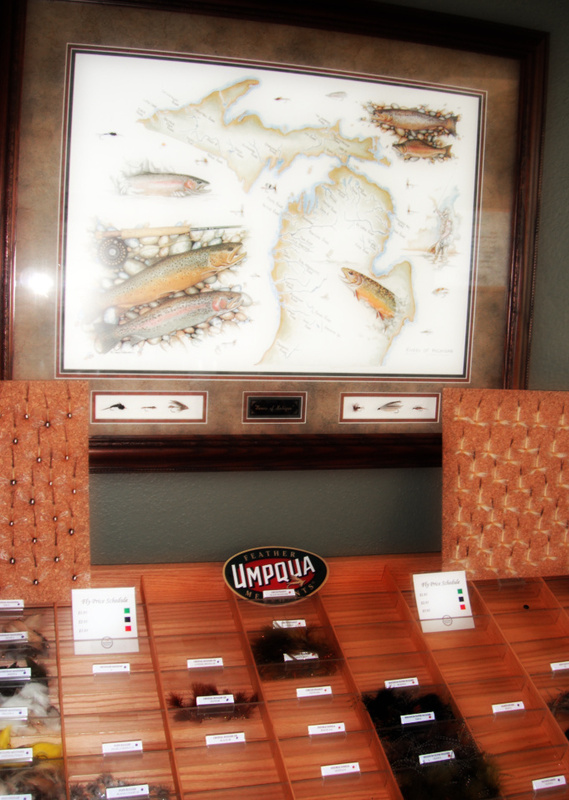 EW: I thought you said they were going to get tougher<?> Myself, after a couple years of offering casting clinics through Olde Au Sable Fly Shop, BOYNE wanted to offer a more intimate experience for house guests and anyone who might be near the resort. TNT: How many years has this been in the works? EW: A few years actually. In 2010 and 2011 we offered casting lessons and a few trips to ‘The Preserve’ and class sizes began to increase. BOYNE RESORTS looked at the quality of outdoor experiences we could offer and thought having BOYNE OUTFITTERS would be a natural good fit. People generally think of ‘UP NORTH’ as primary ski or golf destinations, we can help round out those two seasons with fly fishing in the spring, summer and fall, making BOYNE a place to stay all year long. A few years ago, BOYNE was approached by a rather large and well known fly fishing brand to open a store at the resort, but we had to build an interest and see how it would develop. It has grown and now BOYNE finds this to be the right time to make Fly Fishing another facet of its’ brand. TNT: What product lines are you going to carry? EW: Redington, SAGE, RIO, David Ruimveld Studio, Umpqua Feather Merchants, Smith Sunglasses, Tibor Billy Tate Reels, Cliff OUtdoors, Loon Products, SIMMS Fishing Products, FITS sockwear, Icebreaker Merino Wool, Fisknat Landing Nets, Buff Headwear, Dr. Slick (Rising Products) and a few others that seem to slip my mind. It is a pretty good mix for anyone who happen to come in here. I am sure there is something for everyone and we are always looking for input. 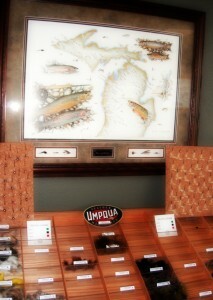 This is the beginning, hopefully with expressed interest we can bring in more and expand to meet more anglers needs. TNT: Does this store have a niche to fill? Rather, does the community have a need for a shop like this? EW: Absolutely!! Having a store IN the Tip Of the Mitt, right in the middle of all these great Blue Ribbon trout streams- Grayling and Traverse City are too far to drive for some tippet or line or a couple dozen flies to go hit the Boyne River or the Jordan River. 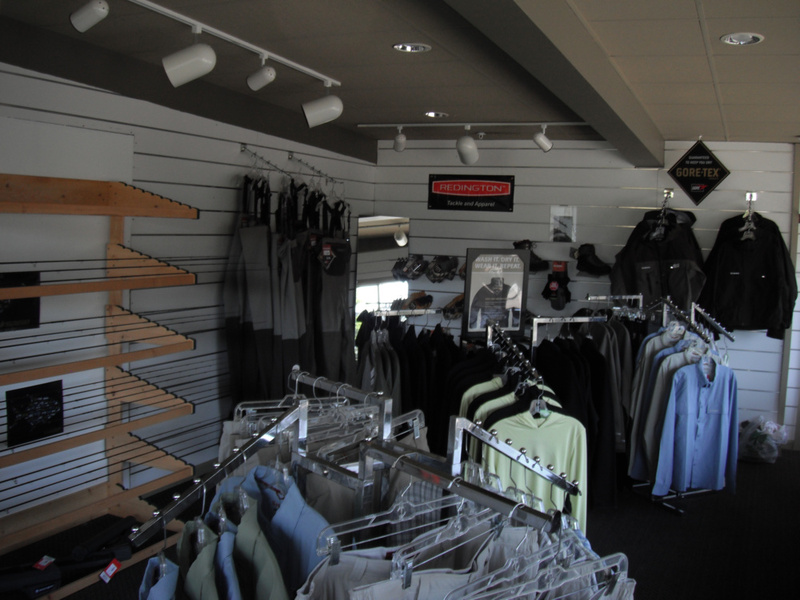 We have a fairly large population of anglers in this area that will benefit from this store as well as guests staying at BOYNE MOUNTAIN from across the country. Some of those guests may have always wanted to try fly fishing but may have been intimidated by the foreign language, we feel we can introduce this ‘bucket list’ item to many who may want to begin or try a new hobby. EW: Ha ha ha, that’s great. I guess Sulphurs or Brown Drakes, but who knows the way the weather has been lately, we could have HEXes by the weekend, doubtful, but this season has everything early. Most likely, Pellet Flies would be the hot item if we had them. TNT: Are you planning on doing any destination trips? Local or Out of State? EW: We have future plans to do a little of both. We have destination fishing right in our backyard. People come to our area from all around the country to fish some of the most beautiful coldwater rivers anywhere. We also have other lodges who would like to exchange trips with more on that when the time is right. TNT: What is going to seperate this fly shop from the rest? EW: The uniqueness of having a Lodge atmosphere and the RESORT to accommodate guests who want to experience all that northern Michigan has to offer. Where else can you catch a few brookies in the morning and then come back to the shop to have lunch and then Zip-Line with the entire family before you hit the town or the beach or the golf course? TNT: Do you carry any fly tying materials? EW: Not currently, but we plan to in the fall. TNT: Do you have any special upcoming events? EW: Grand Opening is JUNE 1-3, 2012 with the FLY FISHING FILM FESTIVAL on Sunday June 3, at 5 pm. We shall have a small cook-out form 12-2 on Saturday and we are giving away a few choice goodies on Sunday at the F3T show> you should be here. We do have other events planned in the coming months, just working on the logistics and proper timing. We want to our guests to experience a great time on the water with us, sometimes the weather and bugs don’t cooperate, but we will always work our hardest to make it an enjoyable and memorable time. TNT: Who is this shop going to appeal to? EW: First timers, novice and seasoned anglers alike, we have something for everybody. I also believe we have the staff that will spend the time with a beginner and the veteran angler alike. They all have a passion for this sport much the way I do, and we love to share it. TNT: What s going to be the most popular rod sold? EW: Redington CT- it is a Classic Trout, great price point and a lot of rod for the money. We love the ONE from Sage, but it doesn’t fit in every angler’s budget. I can’t wait to see what moves; this is going to be fun. TNT: Some say the industry has seen its day back in the ‘River Runs Through It’ era. Do we need another inspirational fishing film like that? Do you agree/ how do you feel about that issue? EW: I don’t agree- at all. We have a younger more aware and eco-conscience group of anglers coming up and taking the helm. The Fly Fishing Film Tour has dozens of new and young fresh Indie Film makers that all have a new angle on fly fishing, they are the new media and they make it exciting. There are also women advocates for the sport like April Vokey, Timbre Pringle, Amber Payless and Diana Rudolph who show the world it is not a ‘men’s only club’. Back in the eighties you had every Tom and Joe out there buying every piece of high end gear and frothing up a lot of rivers, today we see a more dedicated group of anglers. They are conservationists that want to preserve what treasures we have. This not just a trend for these people, it is a lifestyle. 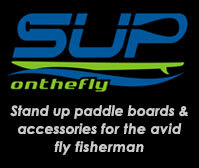 Fly fishing is a sport that is growing and we hope to assist in making that happen. Born and raised in northern Michigan, Ethan has been fishing the area as long as he can remember. Ethan gained his passion for fly fishing after casting his first flies on the legendary Au Sable River. During college, Ethan fished the western Michigan tributaries extensively for trout, salmon and steelhead, spending as much time in waders as in the lecture hall. His love for coldwater resources and protecting the fisheries he loves led Ethan to founding and serving as President of the first collegiate sub-chapter of Trout Unlimited in the nation, Ferris Trout Unlimited. After graduating from Ferris State University, his passion for the sport took him to Sweetwater Travel Company’s Fly Fishing Guide School outside of Livingston, Montana where he gained even more knowledge and skills required of today’s professional guides. During the past several seasons Ethan has honed his skills with a fly rod and at the tying bench, even landing him the coveted position of an Alaskan guide at Kulik Lodge of the Bristol Bay region in the summer of 2010 chasing big Alaskan ‘bows. However, his love for northern Michigan and its intimate fisheries brought him back to Boyne Country to introduce more people to the fishing he has enjoyed for much of his life. Ethan currently holds a Captain’s License with the United States Coast Guard, continues to be active in his local Trout Unlimited chapter and is a member of the Federation of Fly Fishers. 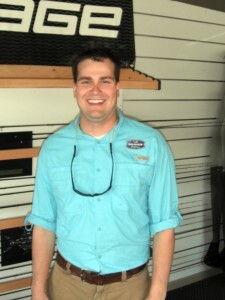 Ethan enjoys teaching beginners and pushes advanced anglers to hone their skills on the river. If you are new to the sport, or have a passion as strong as his, Ethan will make sure you have an enjoyable experience on the water.